The old tree, originally uploaded by yewenyi. 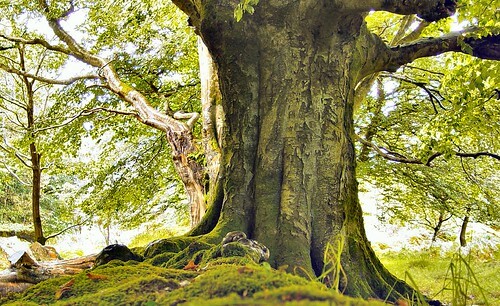 If trees could talk this one would have a lot of tales to tell. Tales of bandits waiting to ambush lone travelers. Tales of lovers meeting secretly in the forest. Tales of battles won and battles lost. Tales of hunters tracking the golden Stag. Oh, if only the trees could talk!